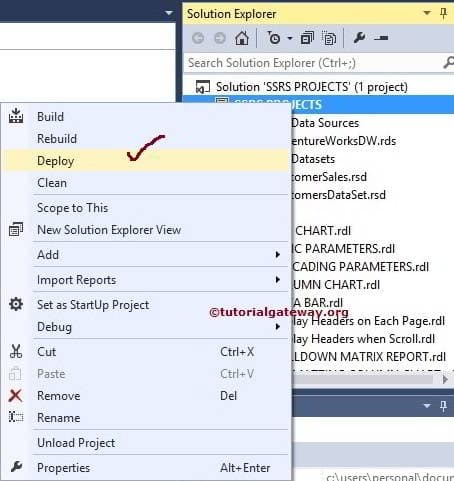 In this article, we will show you, steps involved in deploying reports in SSRS using BIDS. 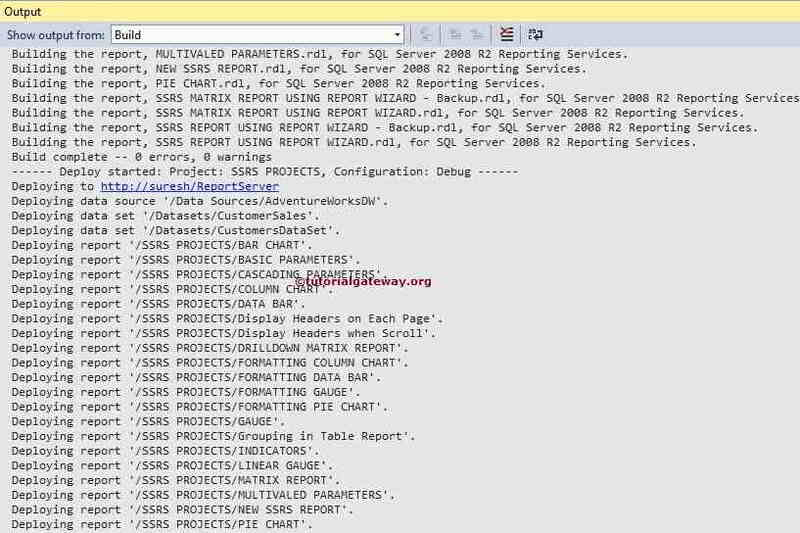 Or, how to Deploy SSRS Projects in SQL Server Reporting Services Data Tools to Report Manager with an example. 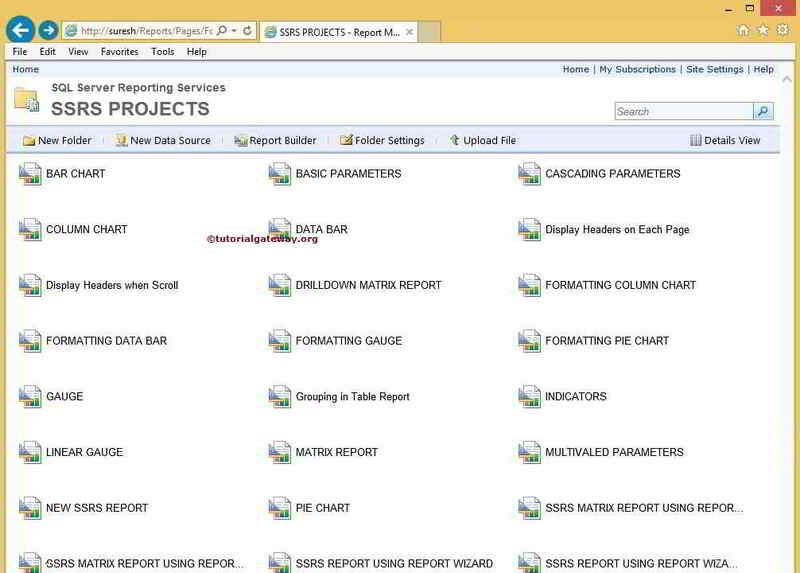 Below screenshot shows you the Shared Datasets, Shared Data Sources and SSRS Report present in this project. 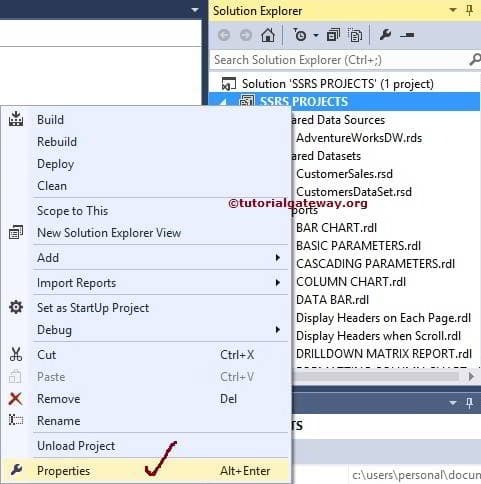 TargetDatasetFolder: Please specify the folder name where you want to deploy the Shared Datasets present in this project. By Default, Datasets is the name but you can change as per your requirement. TargetDataSourceFolder: Please specify the folder name where you want to deploy the Shared Data Sources present in this project. By Default, Data Sources is the name but you can change as per your requirement. 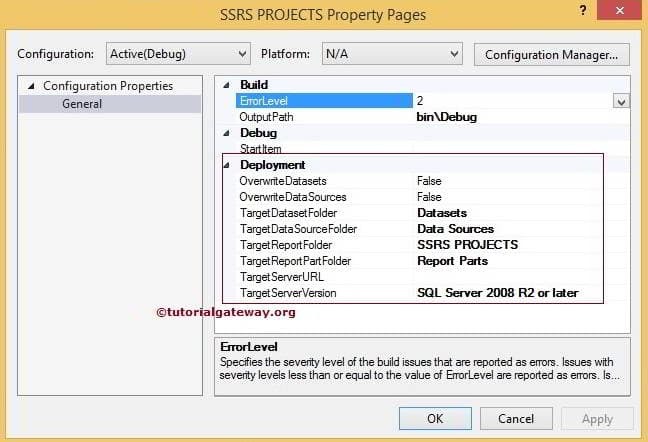 TargetReportFolder: Please specify the folder name where you want to deploy the SSRS Reports we created in this project. By Default, Project name will be assigned to this but you can change as per your requirement. TargetReportPartFolder: Please specify the folder name where you want to deploy the Report Parts present in this project (If any). By Default, Report parts is the name but you can change as per your requirement. 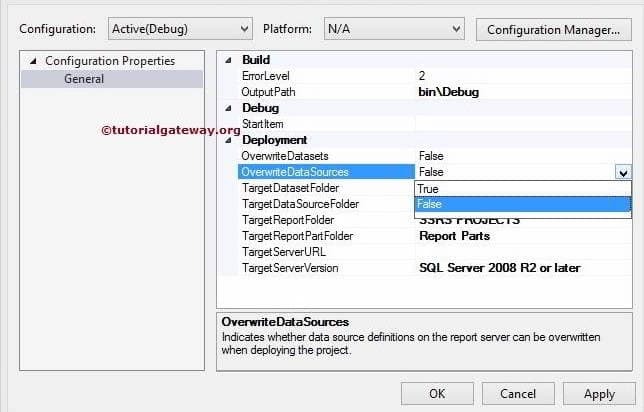 And, If you set this option to FALSE (Default value), the Report Server will keep the Destination data source. 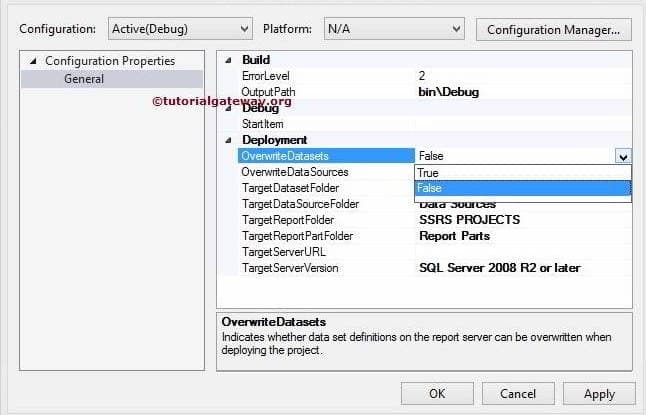 TargetServerVersion: Please specify the version of the Report Server you are using. This property has three options: SQL Server 2008, SQL Server 2008 R2 or later and Detect Version. 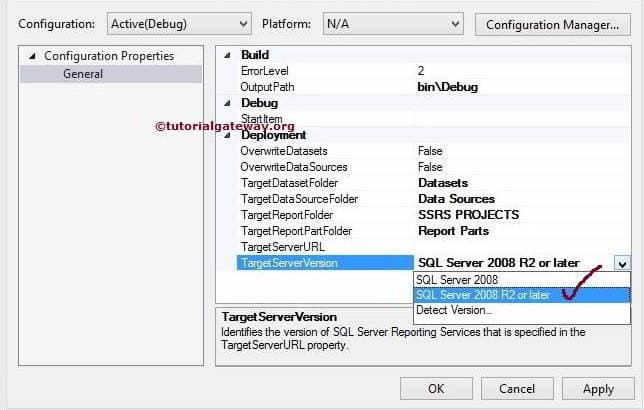 We are using SQL Server 2014 so, we selected the SQL Server 2008 R2 or later option. TargetServerURL: This property is used to provide the Target URL where we want to deploy the project. 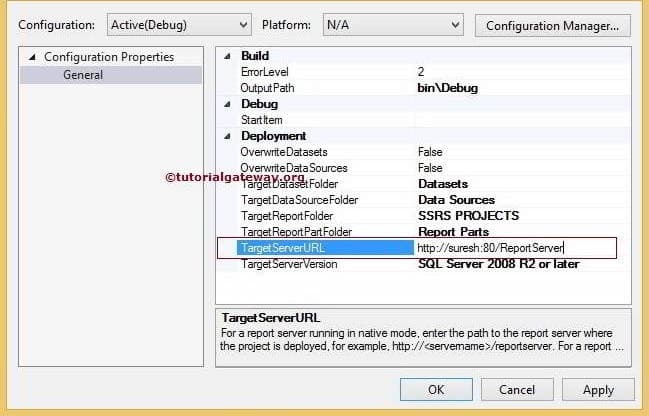 For instance, If you want to deploy to a report server installed in share point then provide the site URL. TIP: Please Run the BIDS as Administrator, If you don’t have the privileges. Next, Open the Report Manager in Internet Explorer to check the project. TIP: Please Run the Browser as Administrator, If you don’t have the privileges.